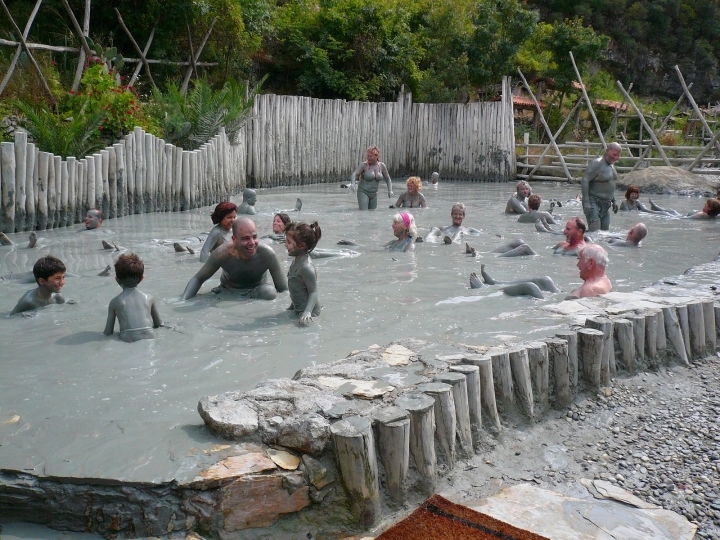 Located on Lake Koycegiz, Sultaniye is a popular tourist attraction that is well known for its natural hot springs and mud baths. The bath ruins were restored in the 1990’s and have since been a popular spot amoung spa bathers, locals and tourists. The waters of Sultaniye are good for both bathing and drinking. The hot springs are located on a fault line at the southwest bank of the lake. Sulfurous water of 40 degrees Celsius seeps out of a crack next to the spa’s domed thermal bath which spews the nasty smell of rotten eggs over the complex. The treatment consists of covering the body with a layer of mud and then soaking in the hot mineral water which is rich in over 40 minerals. You can easily spend hours at the Sultaniye mud baths, swim in Köycegiz Lake and enjoy a Turkish Barbeque on the boat.